"DappVolume is an application that analyzes and showcases dApps built on the Ethereum blockchain. It shows you how many users, transactions, and volume they have. 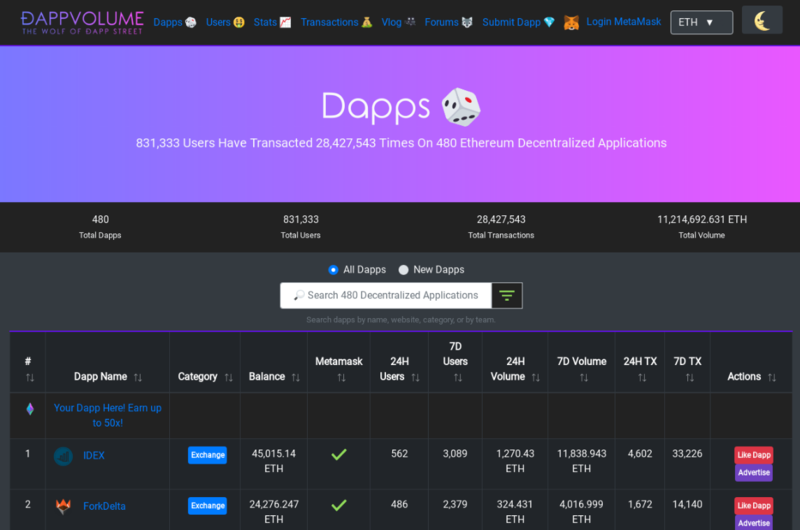 DappVolume also shows users (unique ETH addresses) that have played dApps. You can sort by the most dApps played, most volume, most transactions, and newest users. DappVolume also has a transaction live stream, so you can see what's going on in real time. DappVolume lets anyone submit a dApp that's on the Ethereum or POA blockchain. This helps them to get in front of the right audience."